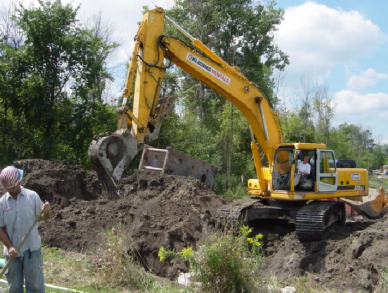 Vanston/O'Brien has the ability to perform many types of earthwork and site utility work. Ground water and poor soil conditions are no problem for our experienced employees. 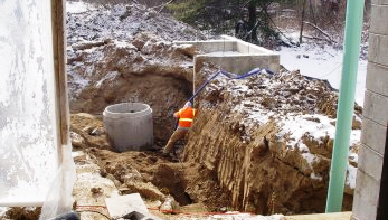 Services include site grading and balancing, parking lot installation, domestic water and sewer as well as public service mains, storm water detention basins and valuable space-saving underground detention systems. Quality landscaping services are also performed by our excellent crew.